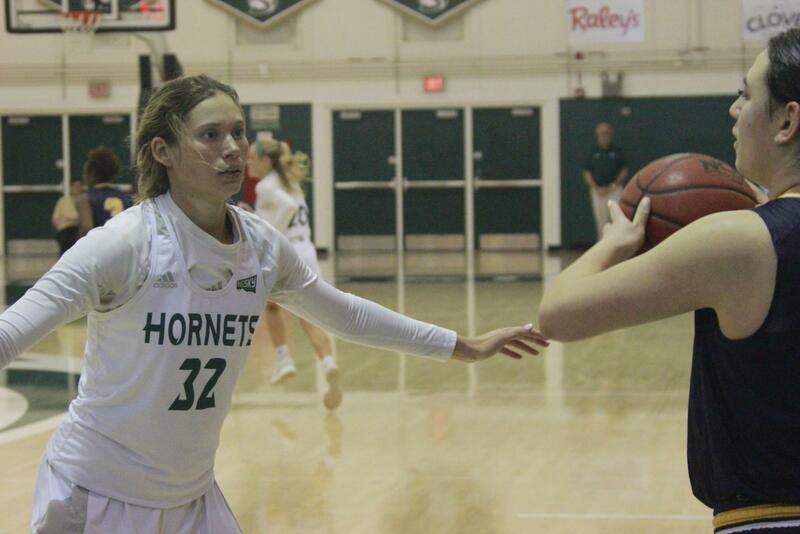 Sac State junior guard Hannah Friend guards an inbounds pass in a 71-61 loss to Portland State at the Nest on Feb. 11. 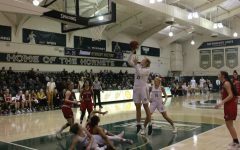 Friend scored a team-high 20 points to put her over 1,000 career collegiate points. 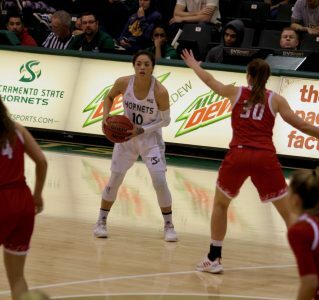 The Sacramento State women’s basketball team fell victim to one bad quarter once again Monday as they lost to the Northern Colorado Bears at the Nest, 71-61. 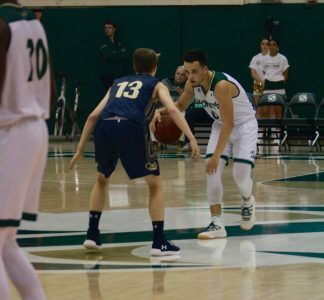 The Hornets (8-12, 4-8 Big Sky) and Bears (15-7, 10-3 Big Sky) played a back-and-forth first period as Northern Colorado led 18-15 after one quarter. 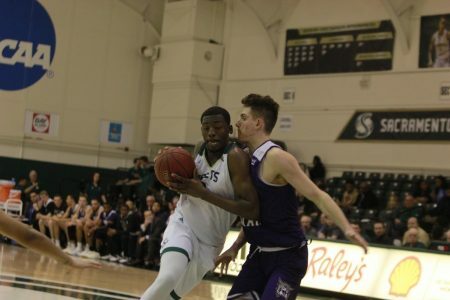 Sac State sophomore forward Tiana Johnson looks to pass in a 71-61 loss to Northern Colorado at the Nest on Feb. 11. Monday was not the first time the Hornets had one bad quarter against the Bears this season. Back on Dec. 29 in Greeley, Northern Colorado outscored Sac State 33-0 in the first quarter. 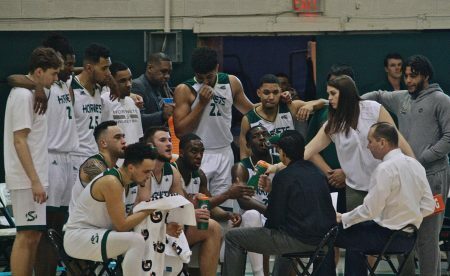 The Hornets went on to outscore the Bears in the remaining three quarters of that game 69-49 but lost by 13 as they could not overcome the deficit they created for themselves in the first period. 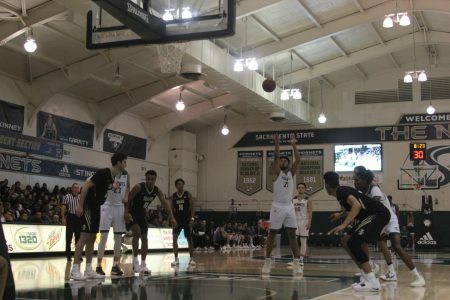 Following the bad second period, Sac State found themselves with a 15-point halftime deficit Monday. 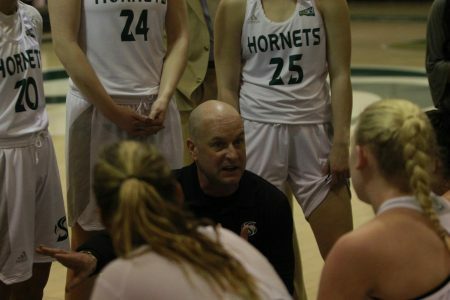 The Hornets and Bears played an even third quarter as both teams scored 20 points in the period. 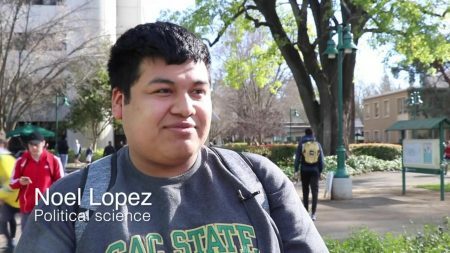 Sac State outscored Northern Colorado 17-12 in the final quarter but it was too late for a comeback attempt as they ultimately lost by 10 points. Northern Colorado led for 33:31 of the 40 minute contest. The Bears were led to the win by redshirt-senior guard Savannah Smith who had a game-high 30 points on 11-22 from the field (5-6 from the free throw line), seven assists and six rebounds. 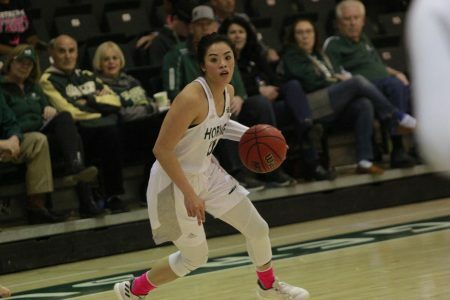 Smith, the 2017-18 Big Sky MVP, had her fourth 30-point game of the season and fell four points short of tying her career-high. 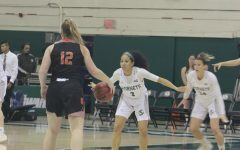 “She’s the real deal, an amazing shooter,” junior forward Kennedy Nicholas said about Smith. 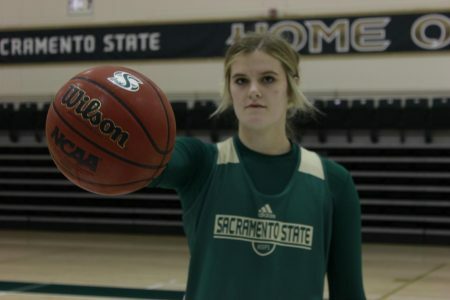 Harkleroad, in his sixth year as head coach of Sac State, has seen Smith’s entire career at UNC and said he recognizes her talent. “She really is the most-valuable player in the league,” Harkleroad said. 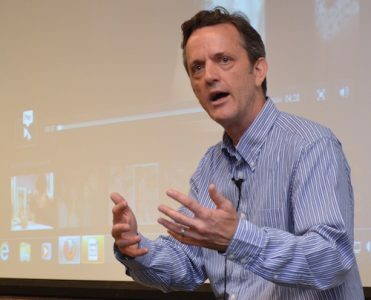 “She is a great mid-major player and has a bad wheel, a bum knee. It shows she is very smart, has great touch, good vision and is hard to stay in front of. Sac State were led in scoring once again by junior guard Hannah Friend who scored 20 points on 7-15 from the field (4-5 from the free throw line) and 9 rebounds. Friend’s 20 point performance put her over 1,000 points scored in her collegiate career. In her freshman season at Delaware, she scored 104 points. 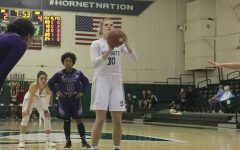 She now needs exactly 100 points over her final eight games of the regular season to reach 1,000 points scored as a Hornet. 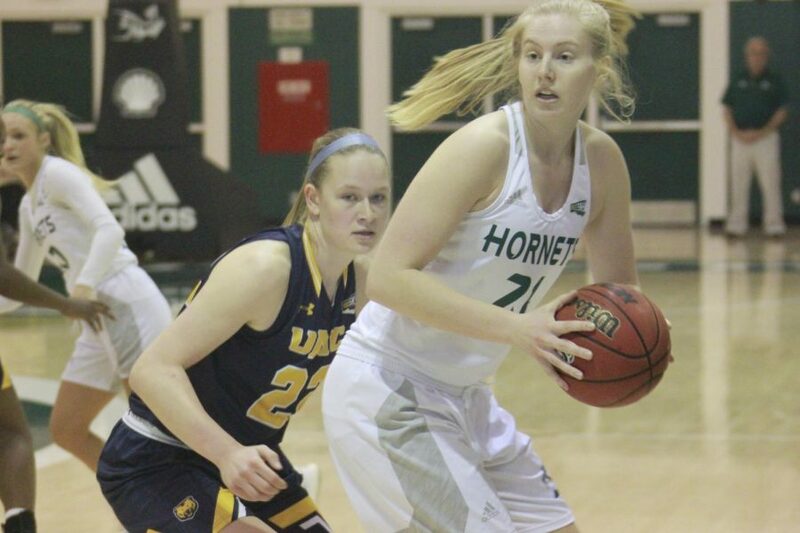 Nicholas had her 11th double-double of the season Monday with 16 points on 7-12 from the field, 12 rebounds (3 offensive) and a season-high 5 blocks. 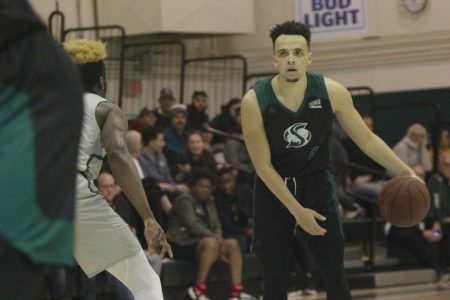 Sac State play next this Thursday at Southern Utah (6-16, 3-10 Big Sky). Tip-off is scheduled for 5:35 p.m. 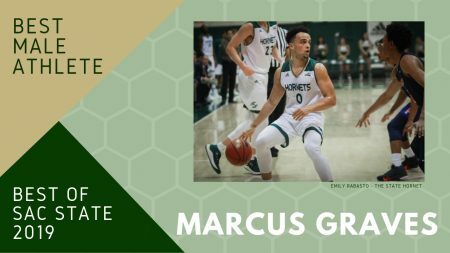 The Hornets will return home to the Nest on Feb. 23 to take on the Portland State Vikings who beat Sac State 74-58 in Oregon on Feb. 7.